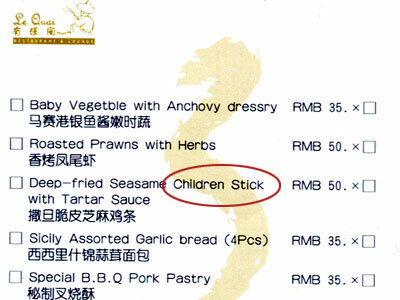 The Chinglish Files by olr: Children stick, anyone? 鸡 is - I am afraid to say - just good ol' plain chicken, not a well roasted little toddler. Thank you very much, Patricia, for another Chinglish jewel.